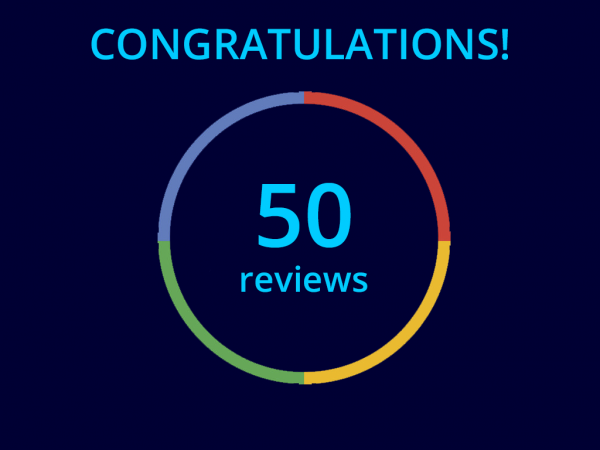 Well done to our White Rose team, they are the first store to reach 50 glowing reviews on their Google page! Our technicians often go the extra mile for customers and love receiving feedback. If you have visited one of our stores recently, please head over to Google and search for the branch to leave your thoughts! “A big thank you to Steve Dave and Mike. A beautiful job made of my old clock restored and serviced. It’s back to its original self.. once again…..
“Using Watch Hospital for several years now. Professional and friendly staff. Never let me down. Bought several watches from them- exellent aftersales service. Numerous repaires of my old watches-most of them completed as I was still shopping at the Centre. “These People know their stuff,, battery fitted in minutes in my Swiss watch, and a High end leather strap suggested from an extensive range. All the staff were knowledgeable and very friendly, happy to help. Made a trip to Leeds a more pleasant day out. “I have taken my watches here for several years (all brands Omega, Bristling Armani, Boss, plus many others ) All have been serviced Cleaned and straps changed and altered even pressure tested after battery replacement. This store especially staff members Steve and others make it a pleasure to buy from and visit. I would recommend the friendly approach they all have. It makes spending the cash there acceptable. I strongly advise you to visit for any watch repairs, batteries ir even buying a watch.